Percy Jackson meets Indiana Jones in the New York Times bestselling epic adventure Seven Wonders! 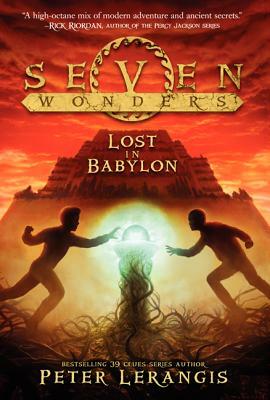 Lost in Babylon is the second book in a seven-book series by master storyteller Peter Lerangis. This sequel to the bestselling The Colossus Rises chronicles Jack McKinley and his friends as they carry on their mission to save their lives—and the world—by locating seven magic orbs called Loculi, which are hidden in the Seven Wonders of the Ancient World. After defeating the Colossus of Rhodes and capturing the first of the Loculi, their friend Marco has disappeared. With no leads, no clues, and no one else to turn to, the kids have no choice but to trust Professor Bhegad and the Karai Institute again as they head off to Babylon.